Many THanks to all who donated and assisted! Our Backpack and School Supplies drive is concluded. 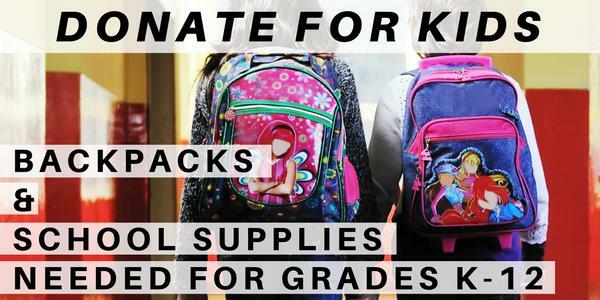 500 Backpacks Needed! PLease help us. Diamond Hill United Methodist Church is partnering with Little Pub to help collect backpacks and school supplies for children in need. All donations will be distributed by Neighbor to Neighbor and the Boys & Girls Club of Greenwich. Please leave your donation at Diamond Hill United Methodist Church, First United Methodist Church, or at Little Pub, Greenwich. > Donations can be dropped off daily after 11:30 am. * Neighbor to Neighbor is a non-sectarian 501(c)(3) and non-profit food pantry located in Greenwich, CT.
* Boys & Girl Club of Greenwich: "Helps youth develop the qualities needed to become productive citizens and leaders"